Cream Bio Sandalwood is an excellent remedy for skin care in summer. This cream supports the normal hydration of the skin, making it soft and silky. Also, this cream has a high UV protective factor SPF 50 and has a water repellent effect. This helps to protect the skin during prolonged exposure to the sun and even after a long stay in water (more than one hour). Content: white sandalwood, Indian ginseng, nag-kesara, wheat germ, honey, Arjuna, red sandalwood, ficus racemose, beeswax, sunflower oil. Application: before sun exposure apply the cream on the body, gently massaging. Reapply if necessary after swimming. 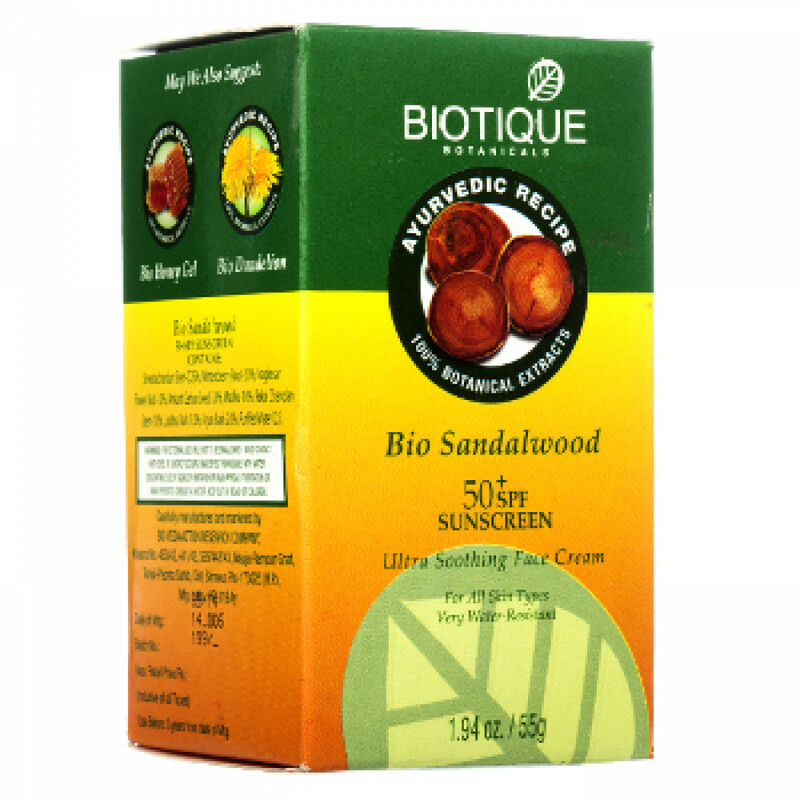 Original name: Biotique Bio Sandalwood cream. In our store You can buy authentic Cream Bio Sandal Biotic at the best price!